If you don't quite fit in...and you think a bit differently than the other people around you...Can you still be whatever you want in life? 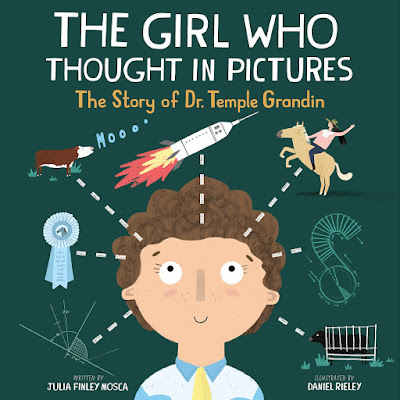 This is the story of Dr Temple Grandin who, against the odds, succeeded in her chosen field of study and beyond dispelling the myth that people with disabilities (in this case Autism) can't succeed or contribute to society. I like the rhymes (but if you follow this website you were probably expecting that already!). This story is told mostly in chronological order and goes over the main points of Temple's life. It was a bit longer than I had expected for the intended age (here in Australia I would recommend it more for grade 1-3). The illustrations may not be everyone's cup of tea. This story focuses on the main points and not the details. I admit that I had not heard of Dr Temple Grandin before reading this book - this is most likely due to being an Aussie reading about an American. 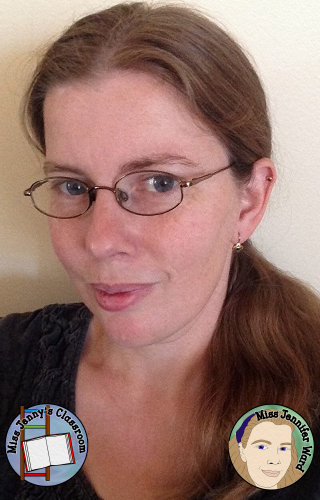 When I first saw the cover I kind of wondered who this woman was and why she thought in pictures. Discussion wise this book's cover really could be a brainstorming of inferencing in your classroom. On to the story - it rhymes - gets full marks there. Most of the time it flows really well without being forced or utterly ridiculous. The story begins when Temple is born and even at the end of the story - it's not really the end as a letter from Temple herself appears and more notes for the reader as well. This book is really about showing that just because you have a disability - it doesn't define who you are or what you are capable of. What it means is that you need to find your passion, drive...sometimes with the help of those around you. In Temple's case she was originally diagnosed with brain trauma but later in life (her 40s) was diagnosed with Autism. With so many children with Autism being mainstreamed it is important to know a bit about how they do think and see the world around them a little differently. The story does detail the ups and downs of Temple's schooling and how loosing her temper really set her on the path to finding a new school, a new teacher, and a new purpose. It briefly looks at how she went off to college and earned three degrees and then a few of her inventions - personally I would have liked to have seen more of the inventions and what-not but you can't cram everything in to one book (especially as mentioned above that the book was longer than I had thought in the first place). Does this book have potential in the classroom? Yes, I think it does. Books about diverse people are difficult to find (getting easier but still...) and I think the book is quite inspiring. It's probably best suited to read at the beginning of the school year - or at the end of a school year when a teacher has their new class for the transition lessons - gives the students something to think about over the school holidays!). I would use it to kick off a lesson on short and long term goal setting - making sure that students look at how they will get there - not just where they want to be. Alternatively it would be good to incorporate into STEM/STEAM lessons. Planning (thumbnails) and looking at the purpose of inventions and how they solve problems would be very worthwhile before getting the class to solve their own problem with an invention! I guess this book about a girl who thought in pictures really gives the reader lots to think about (in pictures if you like). Click the picture above to view a sneak peak of the book! Posted with permission of Innovation Press. 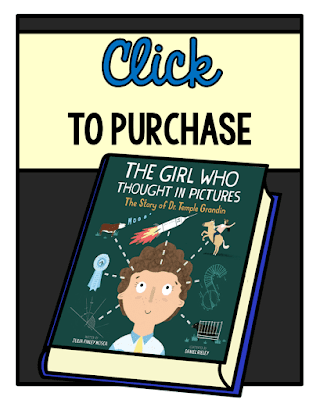 Please note: I was generously gifted a copy of The Girl Who Thought In Pictures by Innovation Press for the purpose of creating a free resource. A review was not required but I am providing one all the same.